Spring loaded, longer hammer noses provide a consistent, positive ignition with the lightest hammer tension allowing for a lighter, smoother action. Manufactured by wire EDM and CNC precision milling processes, with quality controlled heat treated from S7 tool steel. The hammer noses are machined, not stamped. Designed to be tough and provide a long service life. 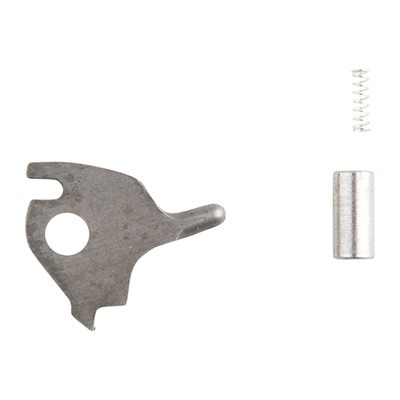 This kit includes hammer nose, spring and hammer nose rivet. Generally, normal replacement is all that's needed , though some factory variations may require minor fitting. Designed for Smith & Wesson center fore models, K, L and N. Mfg: Power Custom SPECS: Machined from S7 tool steel. For S&W K, L and N models.